You may not be an NBC Today Show junkie like me (best morning show evah!) but that doesn’t mean you haven’t heard of renowned nutritionist and bona fide foodie, JOY BAUER. While, to date, the gifted guru has penned several bestselling and popular tomes including THE JOY FIT CLUB, and FROM JUNK FOOD TO JOY FOOD, her latest is closest to my heart with its spot-on focus on one of the most important, oft uncelebrated, aspects of food: its healing potential. 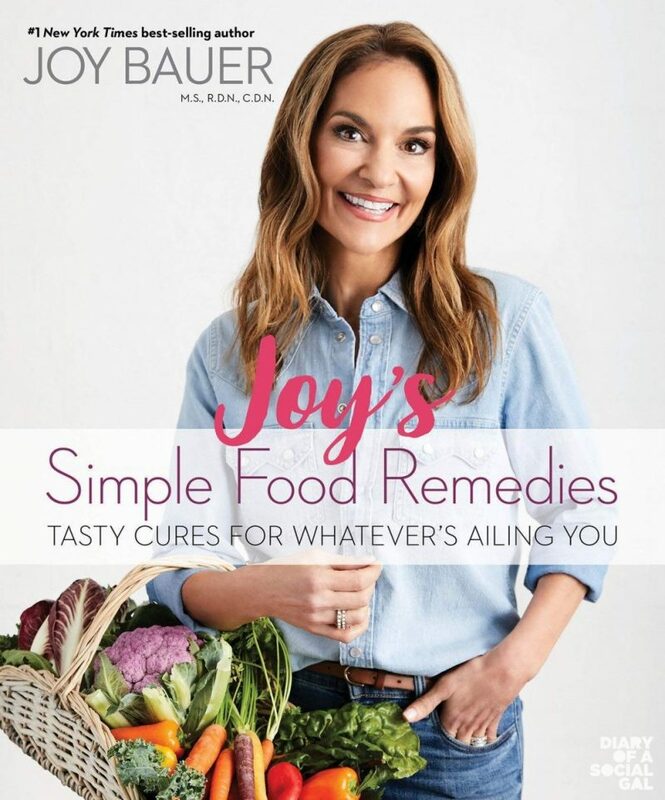 Titled JOY’S SIMPLE FOOD REMEDIES, the easy-to-follow read reveals the extraordinary healing power of food to help fight over 20 everyday ailments like the common cold, tummy bloat, anxiety, stress, and more. Moreover, the recipes she incorporates are truly delicious and make capitalizing on the healing potential of food that much easier. Happy reading, healing and eating, SOCIAL GALS & GENTS!